A new law on domestic violence comes into effect today. 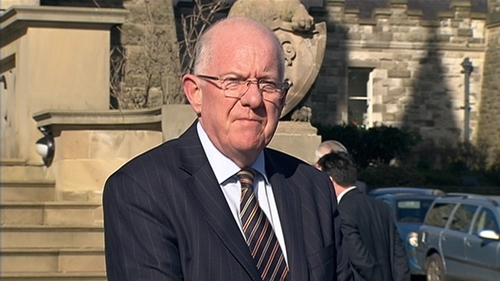 Announcing the commencement of the Domestic Violence Act, Minister for Justice and Equality Charlie Flanagan said it improves the protections available to victims of domestic violence under both civil and criminal law. One of the key new protections for victims under criminal law is the creation of a new offence of coercive control. This is psychological abuse in an intimate relationship that causes fear of violence, or serious alarm or distress. The act also includes measures to recognise an intimate relationship as an aggravating factor in domestic violence cases. Reflecting on some of the main provisions of the act, the minister added: "For too long, domestic violence has been seen primarily as physical abuse. He said: "The new offence of coercive control recognises that the effect of non-violent control in an intimate relationship can be as harmful to victims as physical abuse because it is an abuse of the unique trust associated with an intimate relationship. "Protecting and supporting victims has been a key priority for this Government, adding that domestic violence can have devastating physical, emotional and financial consequences for victims as well as society as a whole. Minister Flanagan said the act is a key part of a national strategy on domestic, sexual and gender-based violence. "It also completes a major step towards Ireland's ratification of the Council of Europe Convention on preventing and combating violence against women and domestic violence, known as the Istanbul Convention," he added. Minister Flanagan also acknowledged the work being done by organisations who support victims of domestic violence, and their contribution in strengthening the provisions of the act. Caitriona Gleeson, Programme and Communications Manager with Safe Ireland, said coercive control is effectively domestic violence. Speaking on RTÉ's Morning Ireland she said it is "where somebody in a relationship deliberately sets out to deliberately put in fear and control the other person's life." "There certainly are aspects of the behaviour that will always be very difficult to prove, however there is lots of behaviour that is investigated properly and documented properly will result in convictions, and that's what we're hopeful for." Ms Gleeson said Ireland is the third country in the world to introduce this new offence. England introduced it a number of years ago and Scotland more recently. She said there has been significant uptake in training among gardaí ahead of the introduction of the new law but feels more training is still needed. Lecturer in Law at NUI Galway Conor Hanly said the new offence of coercive control is a complex one which will be difficult to prove. He said a lot of evidence will be gathered in relation to patterns and behaviours. Director of Women's Aid Margaret Martin said she is hopeful that under the new legislation women will get a more consistent response when they report abuse or crimes against them, and that they will have an investigating garda to liaise with. She added that the introduction of out-of-hours court service is a very welcome addition.